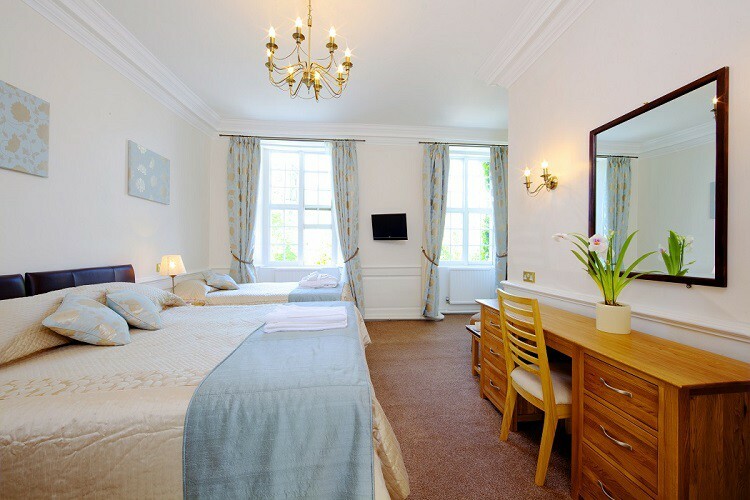 We have 31 unique and welcoming bedrooms, many of which enjoy views over the town of Tavistock. 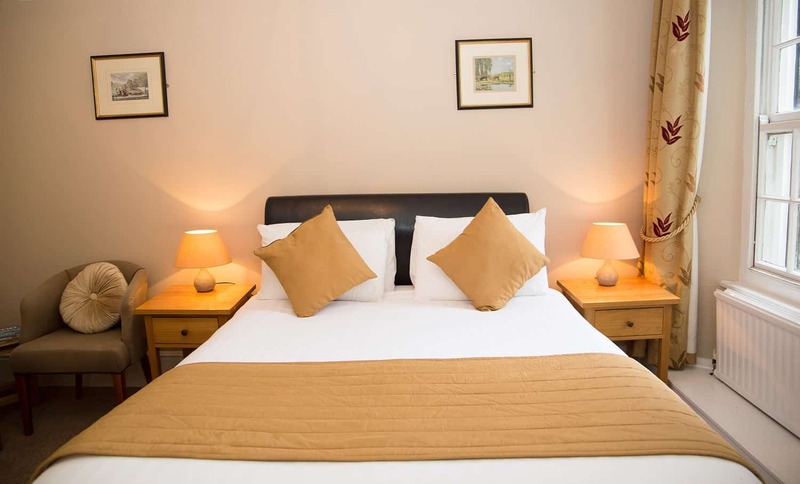 Our rooms are a delightful combination of modern facilities and traditional charm, capturing the spirit of busy Devon market town, whilst also providing a peaceful haven. Ask us about ground floor rooms with easy lift access from the car park. Pet-friendly bedrooms and lounges. Miles of walks. Family rooms with extra beds. Child-friendly menus. Board games. Add a touch of luxury to your stay, with one of our spacious and comfortable Four Poster Rooms. All are individually styled, and offer all the comfort you need. At the end of the day, immerse yourself in the indulgence of your own spa bath. 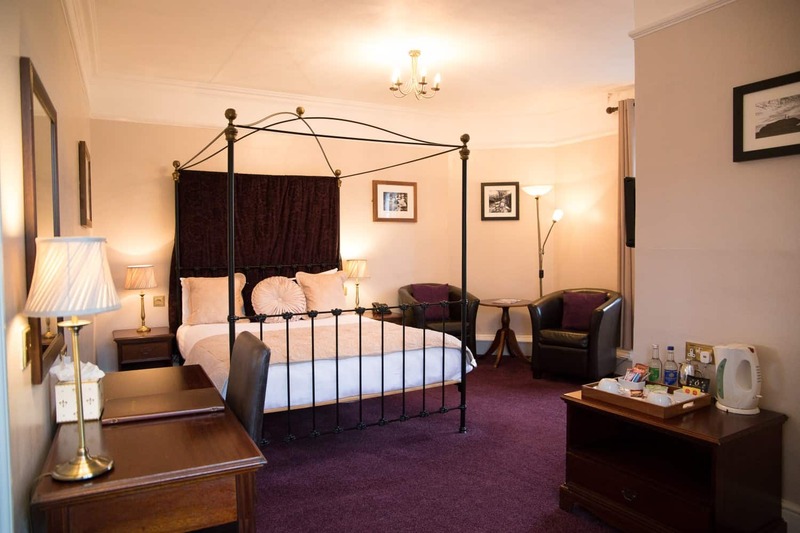 Our Classic Double rooms come in all shapes and sizes. 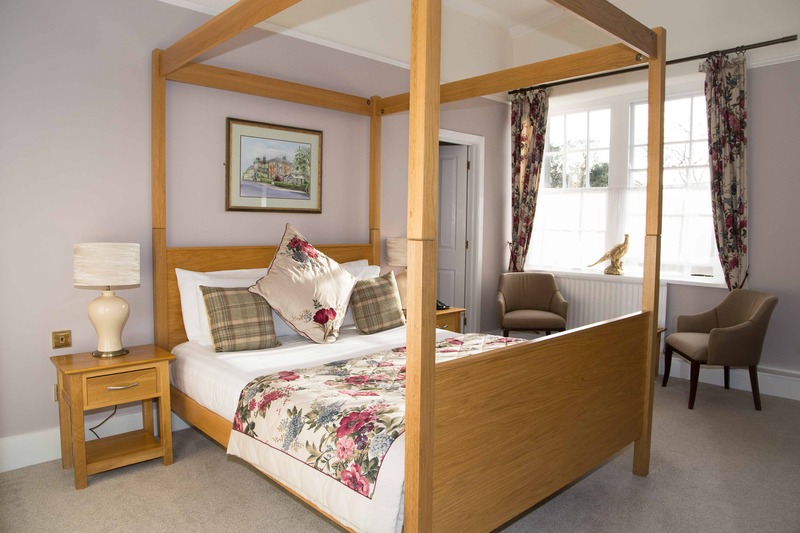 Packed with charm and character, these comfortable rooms offer big beds and perfect bathrooms. 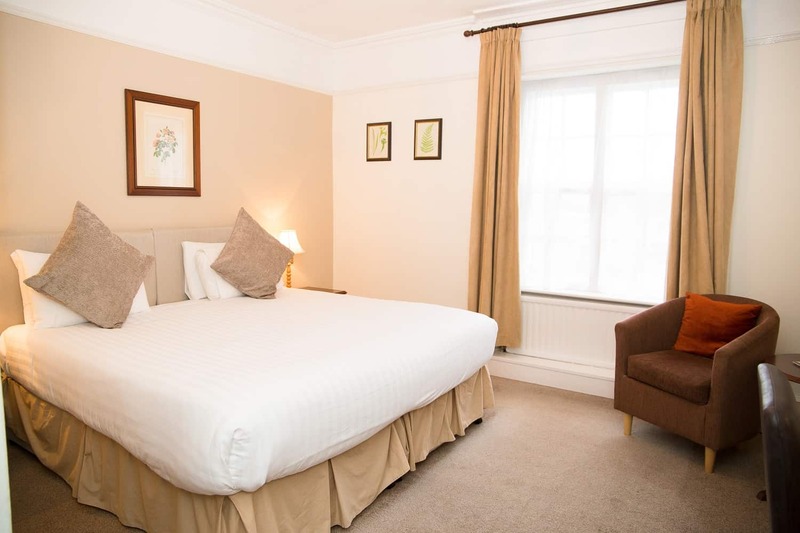 Our large and luxurious Family Rooms offer plenty of space, with a double bed, a single bed, and space for a fold-out bed or cot. And as with all our rooms, you’ll find a well-equipped bathroom with fluffy towels and all the facilities you need. Whether you’re staying for business or pleasure, our cozy single rooms are comfortable and full of character. If you’d like a little extra room to spread out, we can also offer you one of double rooms for a small supplement. 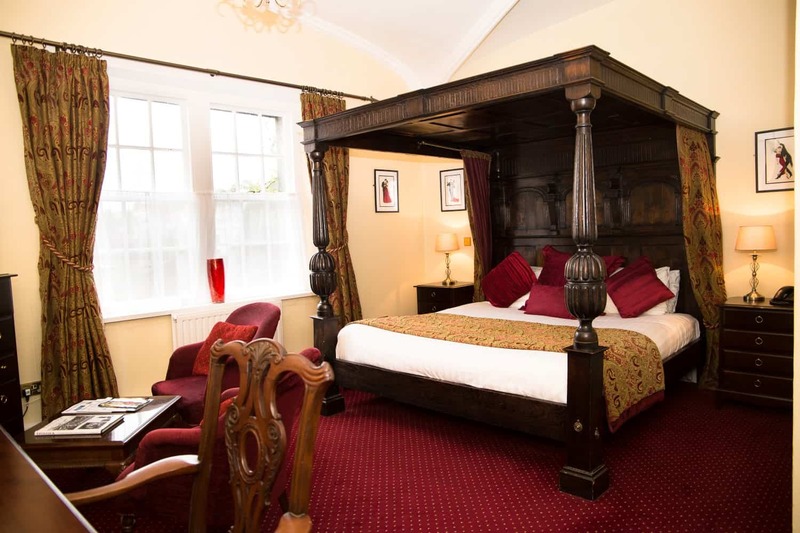 Room 34 is a spacious and comfortable Deluxe Double room on the second floor, with lovely views across to the Parish Church opposite. There’s plenty of room for an extra bed, or a cot. The bathroom has a bath with shower over. Room 10 is one of our most historic rooms, with its grand, traditional four poster bed and intricate ceiling detailing (this room is in a part of the building which was once the original ballroom). The large bathroom features an indulgent spa bath, with shower over. This room looks out across the side of the hotel, and the rooftops of Tavistock beyond. Room 37 can be found in a quiet spot on the second floor of the hotel, and has a restful colour scheme and plenty of space. Let us know if you’d prefer it set up as a king size double or a twin. The bathroom has a bath with shower over. 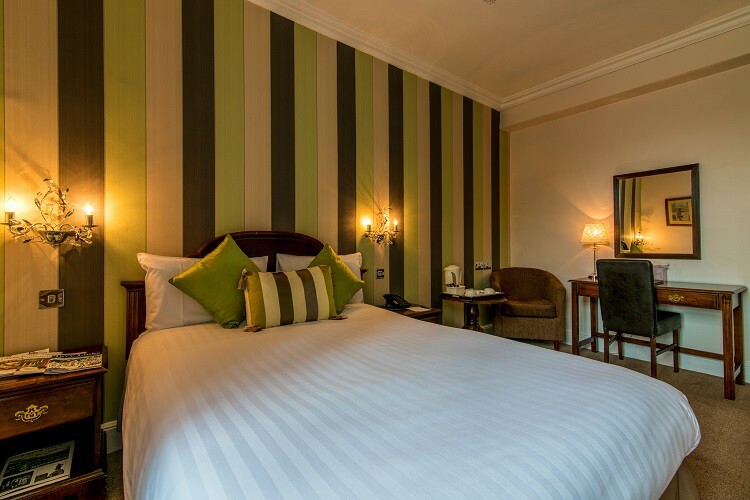 Room 5 is a cosy and welcoming room with a relaxed feel. With its ground floor location, this room is particularly suitable for those who like or need the convenience of stair-free access (there is a lift for those with impaired mobility, from the lower-ground car park level to this floor). The bathroom has a bath with shower over. Room 33 is a popular double room on the second floor, looking out across the rooftops of the hotel. The tasteful colour scheme creates a relaxing ambience. The bathroom has a bath with shower over. Room 9, on the first floor, has an historic feel thanks to the intricate ceiling detailing and traditional windows, coupled with a more contemporary feel from the simple but stylish modern four poster bed. This room looks towards the side of the hotel and the Tavistock rooftops beyond. The bathroom has a luxurious spa bath. Room 23 is a lovely big four poster room, with a contemporary styled bed, striking red fabrics and a large bathroom with spa bath with shower over. 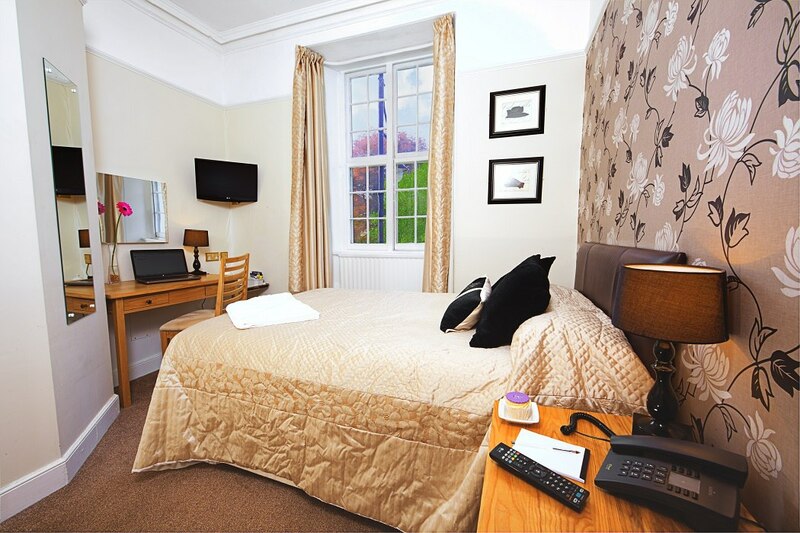 This popular room is particularly light, and enjoys a lovely view over the front of the hotel towards the parish church just across the road. Room 14 is a popular double room on the first floor, which also makes a very pleasant room for single occupancy. The colour scheme is striking and stylish, and the bathroom has a shower over. Not one of our larger rooms, but still big enough to accommodate a cot if you are bringing your little one. 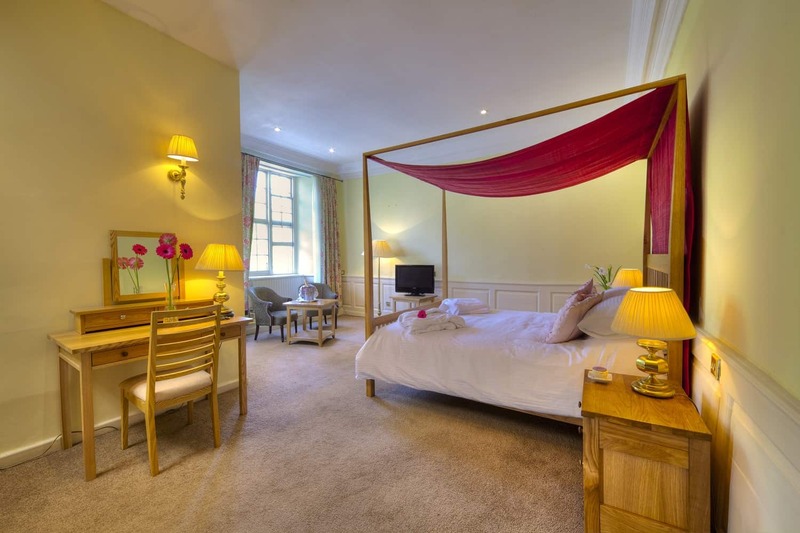 Room 11 is definitely one of our most romantic rooms, with it’s elegant four poster bed, bespoke fabrics, individually styled furniture and soft colour scheme. The spa bath is a real treat, and has a shower over. This first floor room looks to the side of the hotel and the rooftops of Tavistock beyond. 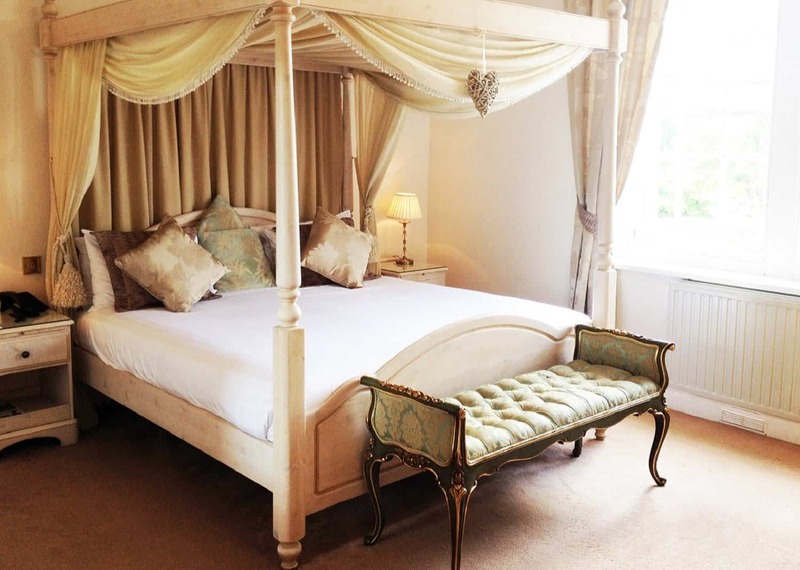 Every one of our bedrooms at The Bedford Hotel has its own style and character. 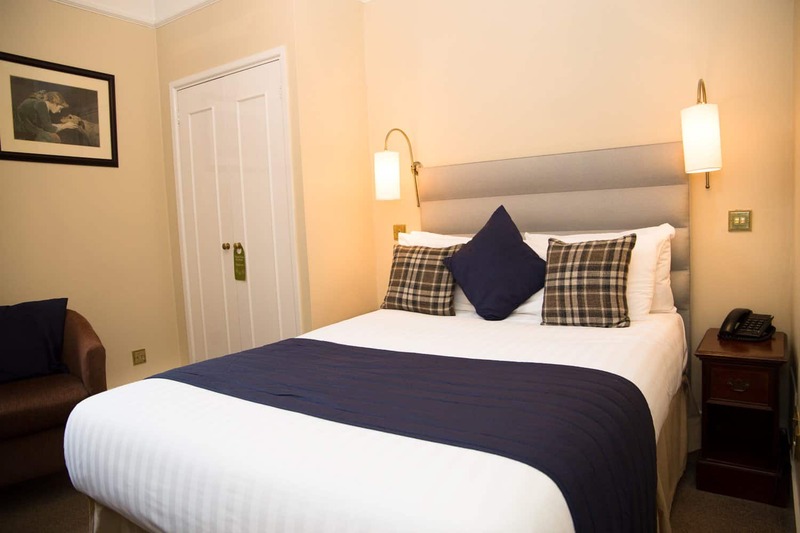 Call us on 01822 613221, and we'll find the perfect room for you when you book direct.